On 7th April 2018, TCG Sancaktar was handed over to Turkish Navy. 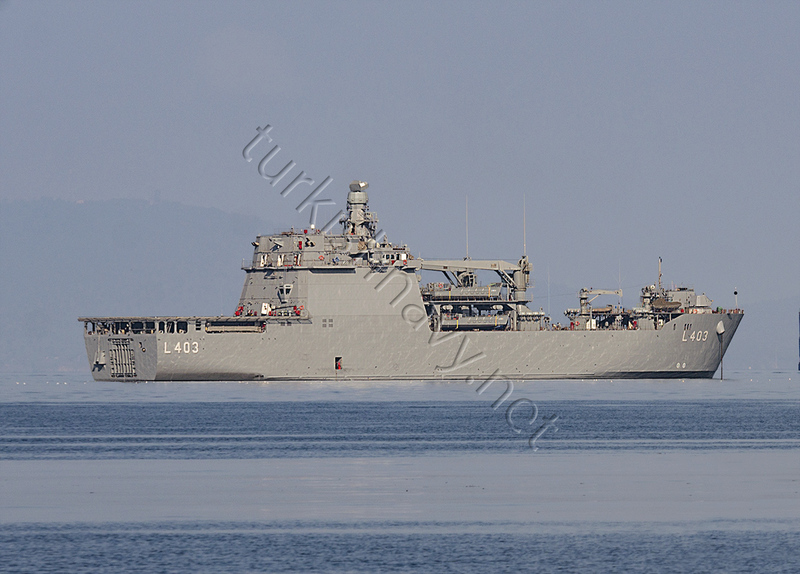 She is the second ship of Bayraktar class landing ships, TCG Bayraktar being the first off the class. The contract for the construction of new LST’s was signed in 2011. The value of the contract was 370 million Euros. The first ship was delivered in February 2017. The ships can carry 350 persons, 20 MBT and between 24 – 60 vehicles. The closed parking area is 1100 square meters and the open deck parking area is 690 square meters. It was rumored that TCG Sancaktar might be sold to another country but this sale apparently did not materialize. Both ships have a good command and control facilities and management software. All lessons learned from operating and commanding amphibious forces from these ships will be used in the development of the software and systems to be used on TCG Anadolu.